veggie food writer: Well done, Hugh! I have to admit that when I heard Hugh F-W was working on a TV series, and the inevitable accompanying cookbook, all about vegetables, I thought there was a bit of band-wagon jumping going on. What – he has spent years going on about killing animals for food, hefting dead and disemboweled pigs about and hoiking fish out the water, but now, not content with the vast adoring fan-base he has built up, he has decided to go after vegetarians? Well, it won’t wash, I thought. Firstly, he won’t get it right. He’ll talk about eating vegetables, but he won’t dare mention vegetarianism. He certainly won’t bother about little things like chicken stock or fish sauce. Secondly, vegetarians will never want to watch him after everything he has done to promote meat. Thirdly, for heaven’s sake, why can’t we have vegetarian food being promoted on prime time TV by one of your actual bona fide vegetarians, just for once? I hereby eat my words. Well, who was I to judge him? I’ve never watched any River Cottage shows – at least, not all the way through. Just a celebration of meat, I thought, and I don’t find that entertaining or useful. But I tuned in to the first Veg show, and I loved it. Really loved it. Then I got round to opening my copy of the book, and I love it too. I’m just so thrilled that Hugh has done this project. 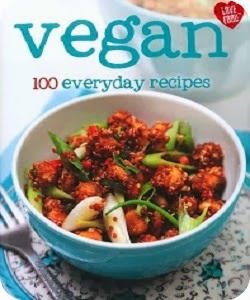 I’m pretty sure that, through this book and the TV series, he has advanced the cause of vegetarianism more effectively than anybody else has done for decades. I’m absolutely delighted that he fully understands the implications of eating meat and fish, and perfectly happy to accept his position as an intelligent meat ‘reducer’. In spite of major initial reservations, I’m now a believer – he seems genuine. If in doubt, read the introduction to the book – in fact, read it, no matter what your personal preconceptions, because it’s fantastic to hear somebody who isn’t a vegetarian talking reasonably about vegetarianism. I’d like to quote it all. And I do believe that he did go vegetarian, for a while, as a deliberate thoughtful act of research and that, by doing so, he truly did learn a lot about cooking without meat. So, having established that this is a book written by a deservedly popular and talented cook, I wondered what Hugh was going to bring to the table. A book of basics, arranged alphabetically or by season, what to do with asparagus, beetroot, cauliflower…? Would he be keeping it simple, a kind of ‘veg for dummies’ approach? First dig up your carrot…? Frankly I wasn’t familiar with Hugh’s way of going about things in the kitchen. Would he set about tarting up every dish so much as to make the original constituents more or less unrecognizable? Pebble-dashing every white plate with the weeniest snippets of veg or drenching everything in wine and cream? I didn’t know whether to expect ‘obvious’ cooking or showcasey performance cookery. The food he cooked during the first of the TV shows gave a good clue – carrots and oranges together for a great salad, even better with toasted cashews… add a sprinkle of toasted cumin seeds – super. An explosion of taste, with juice, crunch, colour and protein. Asian-inspired coleslaw – the usual cabbage and carrots, but this time dressed with honey, ginger, soy sauce, sesame oil, rice vinegar and a handful of fresh coriander. Inspired. Lettuce, spring onion and cheese tart – rarely have I seen a more tempting way to use up Little Gem lettuce hearts. Spring onion galette – why did I never think of using spring onions like this? Roast roots with apple and rosemary – can’t believe I haven’t tried this combination, it sounds like a classic. I didn’t just love the recipes, I loved the pics and I loved the writing style. I loved the words hummi (plural of hummus), speltotto (risotto with spelt), spouffle (a soufflé with pasta in it) and stoup (quite obviously a cross between a stew and a soup, can’t think why the English language didn’t generate this word of its own accord). These are, for the most part, very simple dishes, but somehow Hugh has found a gap in between ‘dull, predictable’ and ‘overcomplicated for the sake of spectacle’, and eased himself into it – by which I mean, the recipes are simple but inspired. And I don’t mean, he has put every veggie ingredient he can think of into a hat, and pulled out random combinations in a desperate bid to come up with something new. This is clearly the work of an extremely accomplished cook with a highly developed sense of taste and an instinctive appreciation of what works well – flavour combinations might occasionally be unusual but they never feel forced or silly. Even the two vegetable icecreams added to the end of the book as a final flourish don’t sound unreasonable – pea and mint icecream sounds like a refreshing creation and I’m prepared to continue to suspend my disbelief about the chocolate and beetroot icecream – at least until I’ve checked it out for myself. Maybe I’ll reinstate my veg box order – the beetroot was getting a bit samey, but I may get through more of it this year. Finally, the Parmesan issue. I’m getting very bored with having to go through vegetarian cookbooks looking for any reference to Parmesan. But if there’s Parmesan in there, and I don’t say ‘ooh, look, he’s used Parmesan and that’s never suitable for vegetarians, he did a bad, he got it wrong’ then somebody else will take me to task for failing to notice. I think it’s useful for vegetarians, and those who cater for vegetarians, to be aware that Parmesan is only ever made with animal rennet, and I know ‘vegetarian’ recipes that include Parmesan are only spreading confusion and misinformation – maybe it’s because I know, I know, I know, but I’m getting tired of droning on about it. In the introduction to this book, Hugh says ‘ Whether or not it’s a vegetarian cookbook depends perhaps on your point of view… in the sense that not one of the recipes here contains a scrap of meat or fish, then it is indeed quite strictly vegetarian’. Parmesan could be said to include a ‘scrap of meat’ and in the recipe section, he does suggest Parmesan as an ingredient occasionally, but never without mentioning that other types of cheese might also be pressed into service. I think it’s a reasonable compromise – and more elegant than the impossible ‘vegetarian Parmesan’ or the ugly ‘hard Parmesan-style vegetarian cheese’ that other recipe writers resort to. Also within the Intro, Hugh writes: ‘I have a lot of time for vegetarians (though apparently not all of them have a lot of time for me).’ I’m one of the few people in the country who is very interested in food and cookery but has never given HFW the time of day – I’m in the minority of TV watchers and cookbook buyers, but I think I’m in the majority of vegetarians. 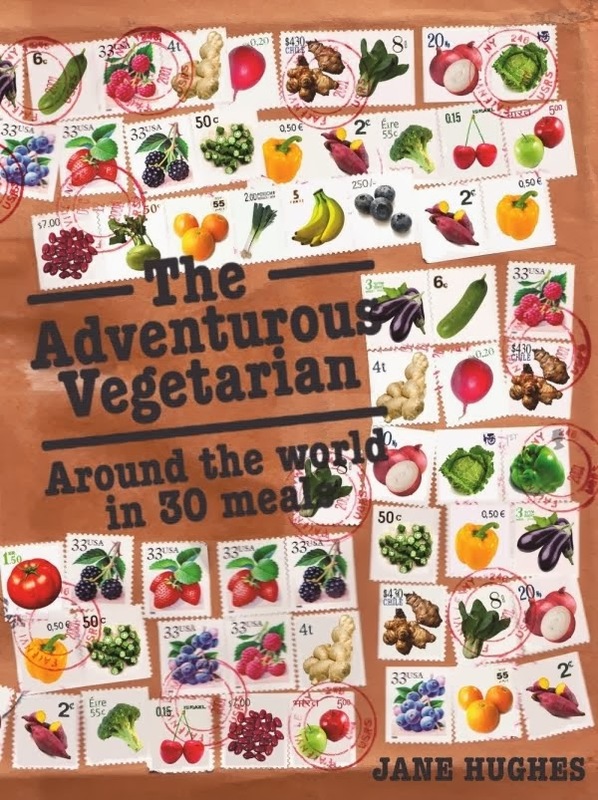 But respect is due – Hugh has done a sterling bit of work here and I for one am both delighted by the recipes and the entertainment, and very grateful for the service he has done to vegetarianism. I hope his considered point of view will persuade many more people to eat less meat, to eat more vegetarian food and, eventually, to commit to vegetarianism full time. I have been a follower of HFW for as long as he's been making the tv series River Cottage. I'd love to have a River Cottage of my own. Then I converted to vegetarianism. I still indulged my love of RC but avoided the whole meat ones. RC Veg was fantastic. I bought the book for 12 pounds on Amazon UK and shipped it to Australia. A fellow nurse at work and I spent a night shift drooling over the recipes. So far I've made the lettuce tart. I forgot to buy spring onions so used leeks. My cheese was feta (animal rennet free). It was delicious! The other was the aubergine parmigiana. Oh my how divine was that. The kids inhaled it. I have never loved a cookbook as I love this one. Yes, great book, enjoyed the TV series and Hugh does seem to be a genuinely nice bloke who has done a lot for animal welfare (I'm thinking of his battery hen and fish campaigns). I have enjoyed most of the recipes I've tried so far. The "magic bread" recipe is simple and tasty. I learned how to bake proper bread through the RC handbook. Now, can we get Nigel Slater to do a veggie book?